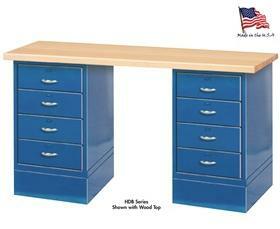 Four drawer and door units can be ordered in any combination to form an overall base. Choose from Steel or Wood tops. Drawer units are designed with 20 gauge steel on full extension ball bearings steel slides. Each is equipped with a padlock loop and small parts tray. Door cabinets include keyed handle and adjustable shelf. 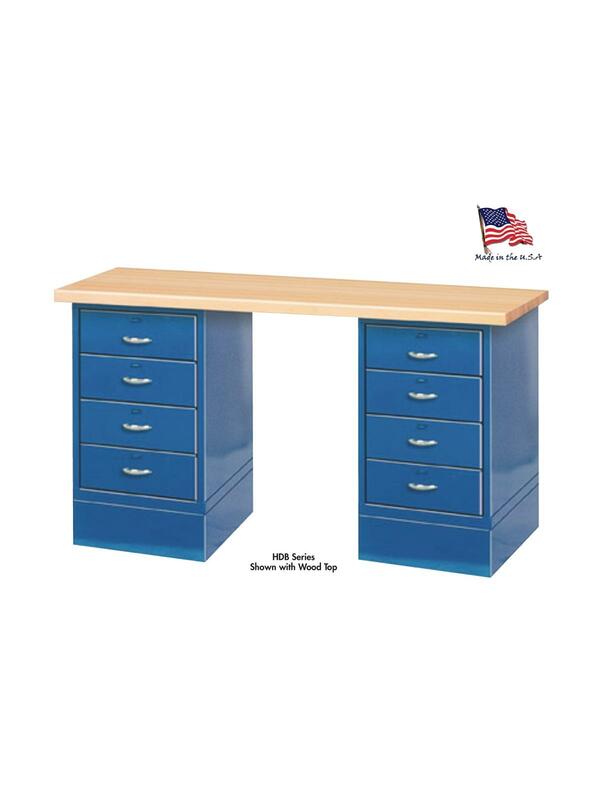 HFDB Series contain one file drawer and two box drawers on each pedestal. All units are 34" overall height with No. 6 base. Optional high pressure laminate, or composition top, side and back stops, cylinder locks, risers and extra shelves available -- call for pricing. FOB Shipping Point.